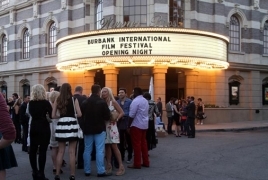 PanARMENIAN.Net - "Crow's of the Desert: A Hero's Journey Through the Armenian Genocide," a 2016 film by director Marta Houske telling the story of the destruction of 1,5 million Armenians in the Ottoman Empire will screen as part of the Burbank International Film Festival. The festival on Monday, August 28 announced official program selections for the 9th Annual edition of the festival set for September 6 through September 10. The documentary is based on the "Memoirs of Levon Yotnakhparian", a true story of one man's brave adventures to stay alive, and help save his people from near extinction. More than 180 feature and short films representing 60 countries will be presented during the five-day event, along with artist tributes, panels, and festivities.